Thankfully – blessedly – our house no longer smells like charred tomatoes. Since I was out of town this past weekend, I don’t know when exactly the stench lifted, but I was very relieved that the smell of singed meatballs didn’t knock me over when I walked in the back door this afternoon. That was some serious cause for praise. I spent the weekend in Atlanta with Melanie, by the way. We planned our trip a sweet forever ago, and oh, was it ever timely and fun and wonderful and refreshing and etc. I’m pretty sure it’s gonna make it into my 2013 Top 5 Favorites. Delightful all the way around. 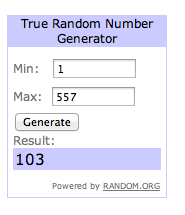 Before I forget, here’s the winner of the last giveaway. Congratulations, Jody! I’ll send you an email in just a little bit. As for this last giveaway – well, I hardly know where to begin. Because in so many ways it is the culmination of all my bloggy hopes and dreams. Perhaps I should explain. This giveaway has three parts. The first part of the giveaway is my book, A Little Salty to Cut the Sweet, which officially releases on Tuesday and that is all fine and good but TRUST ME not nearly as special as the rest of the giveaway. The second part of this giveaway is a staple in almost every Southern cook’s kitchen. I for one couldn’t live without mine – it is the best all-purpose pan under the sun. The third part of this giveaway is almost too good to be true. It is more, in fact, than I ever dreamed. But apparently, if you write a book that has the phrase “fifteen pounds of bacon” in the subtitle, there are wonderful people out there who will step right up to the plate and offer to give away – GET READY – fifteen pounds of bacon. Somebody give the Lord a handclap of praise. The bacon is courtesy of Petit Jean Meats, an Arkansas company that makes, among other things, incredibly delicious bacon (I recently found out that their bacon is the official bacon of the Dallas Cowboys, AS WELL IT SHOULD BE). 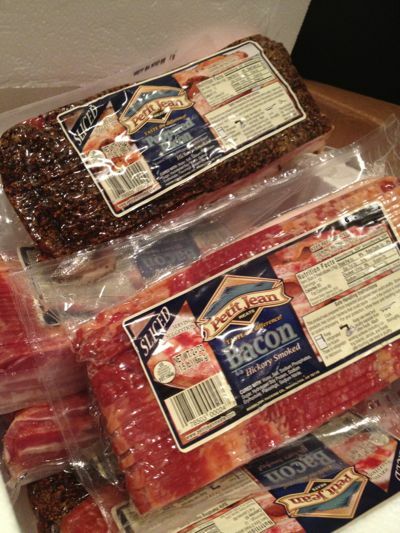 Petit Jean Meats sent me a whole bunch of bacon after my friend Stephanie (we actually went to high school together) told them about my book title, and no kidding: the day all that bacon showed up at our front door may have been the happiest moment in all my years of blogging. Their peppered bacon has become the hands-down favorite in this house, and I am so excited to be able to share it with y’all. Because, well, BACON. And not only that: EXCEPTIONALLY TASTY BACON. SO. If you’d like to enter to win a very fancy prize that consists of my book (which, compared to bacon, you know, WHATEVER), a 12-inch Lodge cast iron skillet, and FIFTEEN POUNDS-O-BACON, just leave a comment on this post. If you’d like, you can also sign up for the Petit Jean Meats email newsletter or like their Facebook page, and if you do either of those things, come back here and leave an additional comment for a second entry (you can just say “PJM social media” or something like that in your second entry). I’ll close comments on this post tomorrow night, and I’ll select a winner using random.org. Hope y’all have a great week – it’s been so much fun doing these giveaways with you! This giveaway is now closed. I’ll announce the winner in a couple of days! Filed Under: The South, There's More! Next Post And Also: Happy Flag Day, Finland! Will you season the skillet for me? My mouth started watering at the thoughts of bacon cooked in a cast iron skillet! 15 lbs. about sent me into shock! Yummy! PS: I’m pulling for your Bulldogs tonight to win their regional in baseball. Go SEC baseball! Somehow I missed the last give away! I am determined to win something :) HA! Looking forward to the book and the bacon would be the cherry on the sundae! I am so excited to get your book tomorrow. I have been waiting and my family of bacon eaters would love it if I won this. I’ve loved your blog for years! But oh honey, 15 pounds of bacon? Heaven! Dear Bacon! How we love thee! Glad you made it home safely and can’t wait to read your book…while eating some bacon fried in a cast iron skillet!! Social media link as well! This may be the best blog giveaway I’ve ever seen. My friends do an event called Bacon Fest every year and I’m thinking this would make me the hit of the party. Plus I’m really looking forward to reading your book! I like the PJM Facebook page! This is the best giveaway I’ve ever seen!!!! My husband would surely “give the Lord a handclap of praise! !” hahaha…. Thanks for the yummy and fun giveaway! I would love to win this!! Glitter Bug would be so happy to have bacon!! Hubby too. And who doesn’t need a cast iron pan? Oh my goodness! I’m from Arkansas and I need this bacon!! HA HA. What a great giveaway! My family loves bacon and I don’t have a cast iron skillet (what’s wrong with me)!! Signed up for the PJM newsletter! Oh my gosh…bacon is definitely a love language in my house! This would make a mighty fine Father’s Day gift! Tomorrow is your big day! Congrats! Listen, I am fairly certain I use more bacon than any reputable Southern cook because, well- BOYS. So winning this would allow me to free up some money for shoes! Cast Iron skillets intimidate me. If I win, I’ll need a tutor to help me figure out how to use it. My family is crazy about some bacon! And I can’t wait to read your book! I FB liked their meats! Bacon and a book. . .yay! What a wonderful giveaway!!! As I was saying at the lunch table at work last week, Bacon is the reason I am a member of Sam’s! I buy so much and M.K. and I consume so much that it pays for my membership! Thanks! I’ve just started reading your blog, and LOVED the excerpts from your book. I have to have that book. And I love me some bacon – low carbing makes it even more necessary in my life. So exciting! My fingers are crossed!! Sounds like the perfect combo to me! Oh. My. Goodness!! We would probably eat all of that bacon in one week. And it would be the best week ever! :) PS – Can’t wait to read your book!! The skillet is nice but BACON??!!!! Oh man, my family would bow down and kiss my feet (well maybe just do the dishes) if I got 15 pounds of bacon!! And while they were doing those dishes I could prop my bacon gorged self into the chair and read that sweet little ole’ book of yours!! That would be an awesome sauce kind of day!!! Wow, your book AND bacon! I really really want your book but I’ll take the bacon, too! Thanks for the chance! Yippee!! What more could you ask for! Thanks! My youngest doesn’t care for bacon; her brother and sister don’t claim her. A book, an iron pan and 15 pounds of bacon, who could ask for anything more. I’m like the dog in that dog-treat commercial … Bacon bacon bacon bacon. Oh yeah, I love me some bacon. And there’s nothing better to cook in than an iron skillet! And your book! Well, this is a real trifecta! Can’t wait to read it!! Bacon is my son’s love language! We love bacon at our house. Looking forward to your book. First, I do LOVE my cast iron skillet! THE best cornbread ever!!! Second, cornbread goes great with…BACON! Finally, I would love to read your book while enjoying my cornbread and bacon!! such a great combo! Your book, bacon and an iron skillet!! A book, cast iron skillet and bacon??? Be still my heart!!! Would love to win the book, but the bacon sure is a nice bonus! My 13 year old daughter would probably inhale all those 15 pounds within a week. She is a bit overly fond of bacon. :-) Would love to win for her sake! Congratulations on the book! Can’t wait to read it! Cast iron skillet and bacon? Yes please. I would love a copy of your book . . . and the skillet . . . AND the BACON! Bacon! And your book! THIS is a giveaway. Bacon, Bacon, Bacon, I do love some Bacon rawhide………singing that in my head in my John Wayne voice! I love bacon!!!!!!!!!!!!!!!! So do all 6 of my kids, that’s why I can’t seem to buy enough to satisfy them all! Woot Woot! I can’t wait to read your book! And how cool is it that Korie Robertson has already read it?! waiting waiting waiting for your book to be delivered. I’ve never owned a cast iron skillet, but my Mom makes the best fried chicken in hers! think they’ll include arkansas-style recipes? i’ve known *good* cooks from there! My kids would think they were in heaven with that much bacon, while the skillet would be more of my passion! Blessings! Wow, this is a GREAT giveaway!! I love cooking in an iron skillet. And bacon, yum!! This would be awesome! My husband would love the bacon…what a great Father’s Day gift! :). This may well be the best combination of elements known to mankind. What pride the owner of THIS book, THIS bacon, and THIS skillet will feel! You had me at BACON!! Bacon is a love language at our house. We went to a healthy restaurant and the paper wrapped around the napkin with silverware said, “I love you more than bacon.” Really!?!? My husband doesn’t even say that! Can’t wait to read your book! I will fry the bacon in the skillet and eat it while reading your book. Sounds like a perfect way to spend a day! Yum and fun!!! Hope I win! This giveaway makes me smile ear to ear! Who doesn’t want to win 15lbs of bacon?! Just signed up for PJM newsletter. I love bacon and cast iron skillets. 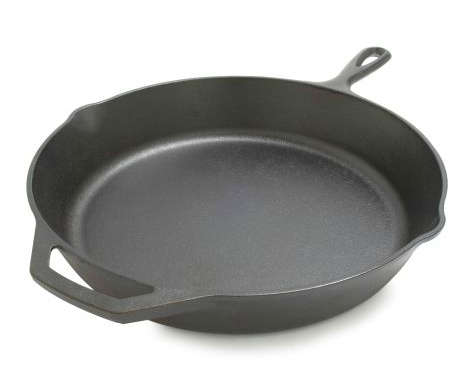 I have always been fearful of cooking with cast-iron pans due to my inexperience. How delightful would it be to win this giveaway and give it a whirl! love bacon and cast iron! they’re the best combo! I really don’t think it could get any better than a fabulous book to read, great pan AND bacon! It might just be too much to handle! Book, pan and bacon – awesome combination!!! Not that I really need any bacon — but, oh well — okay. Mmmmmm…bacon. And fried up in a cast iron skillet? Perfection. Your book and bacon, yes please!! This may be the best giveaway in the history of blogging! ;) Yum! Your book and bacon? What could be better? ?